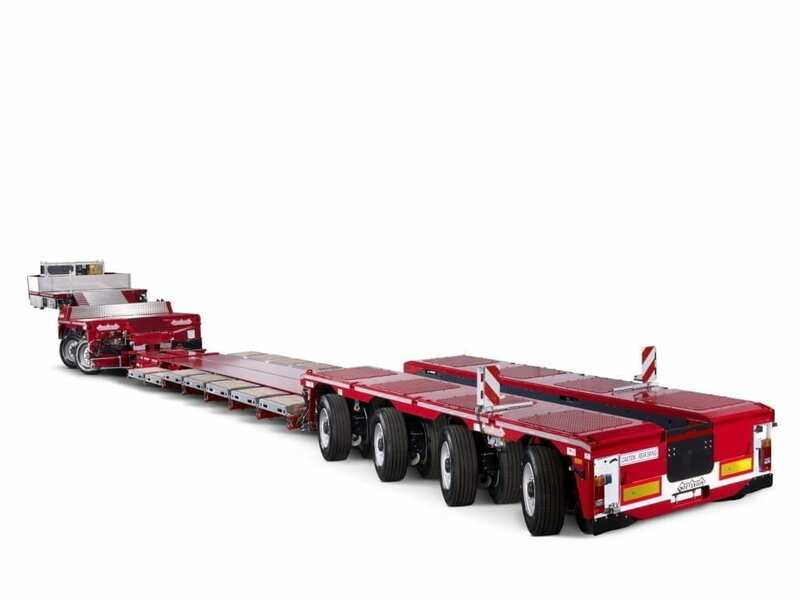 For extra load capacity and optimal weight distribution the Nooteboom EUROTRAILER low-loader can be combined with an Interdolly, fitted at the front between the gooseneck and load floor. The Nooteboom Interdolly is coupled with hooks at the front and rear, making the coupling/uncoupling procedure quick and easy. 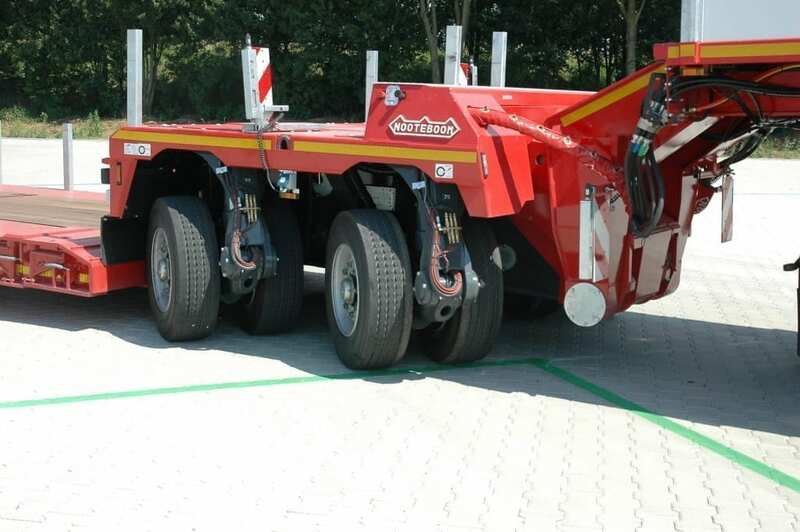 This means adapting the low-loader configuration to any transport requirement is extremely straightforward. 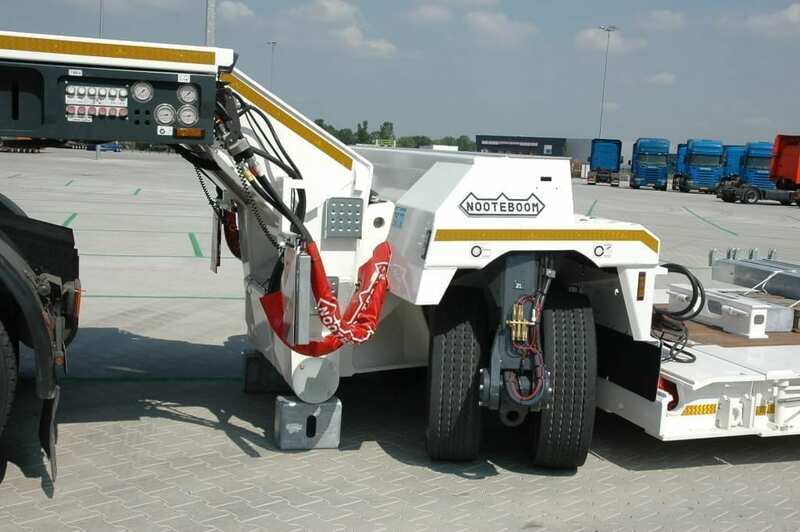 With a short adapter the Interdolly can be coupled directly to the rear axle assembly so that the low-loader can also be used as a semi low-loader. The Interdolly is standard equipped with TÜV-certified lashing eyes, stake pockets and hose rupture safety valve on every pendle axle. 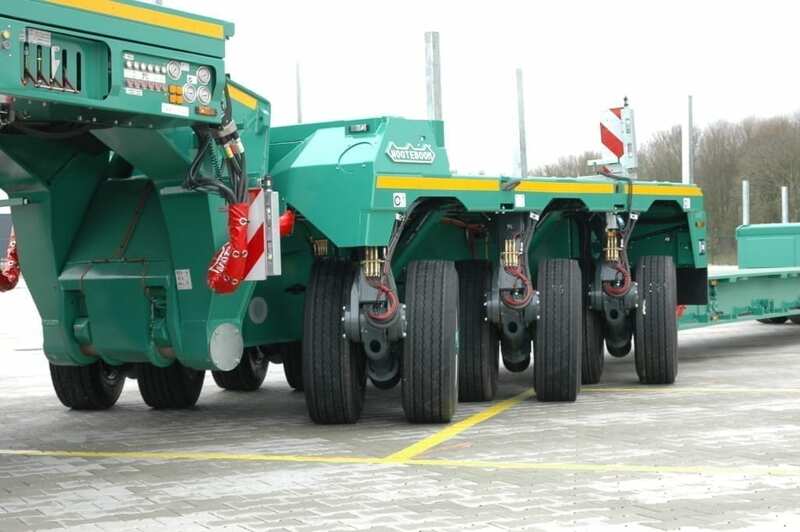 The Interdolly is also available in a non-detachable version, which further reduces the total length and dead weight of the low-loader.